ATD SCC PROUDLY PRESENTS . . .
You’re going to be flooded with new tools and vendors this year…The fastest growing segment of the HR market today is tools and systems for learning. Why? Because everyone’s job is changing before our eyes and we all want to learn as fast as we can. From an HR and L&D standpoint, this means embracing learning experience platforms, virtual reality, design thinking, and agile learning methodologies. AI tools for learning are arriving, so you can soon buy systems that teach in the flow of work. The Southern Connecticut Chapter of the Association for Talent Development (ATD SCC) is sponsoring a full-day symposium designed to provide participants with an in-depth look at how AI is being used today and how it is anticipated to be used in the future. We have assembled an all-star cast of speakers and facilitators from industry, academia, and consulting to share their insights and experiences with the technology with the goal that participants will leave with a deeper understanding of AI and how they might begin to experiment in deploying it in their own organizations. Don’t be left behind. Come out and explore! Come out and learn! AI is having profound results in enabling learning agility, empowering Talent Development leaders and enhancing the learner experience. IBM, an early adopter in the use of AI across the entire employee lifecycle, is known for transforming the efficiency and effectiveness of Talent Development through the pragmatic and innovative deployment of AI. Susan Steele, the HR Reinvention Leader in IBM’s Global Talent and Transformation Center of Competence, will discuss and demonstrate how AI is being used today to disrupt (and improve) Talent Development. The learning industry is just beginning to leverage AI. From early use of voice interfaces and chatbots, to recommendation systems to assessments, join Al Vazquez as he presents an overview of where we are, and what to expect in the coming years. Identify conceptual building blocks for understanding AI. Show how these building blocks can be used for individuals' businesses. Ideate as teams to create new potential uses and products. This session will be a hands-on way for attendees to discuss and really understand what AI means for HR and Learning & Development. After a morning of learning about what AI is, how it is being used, and how learning organizations can leverage AI, we’ll take a minute to think about how it might be used to solve problems attendees find in their work. Led by renowned creativity expert Bryan Mattimore, this session is your chance to apply AI to your own work! AI holds great promise for learning organizations, in part because it is different from other software. Deeply dependent upon data, Artificial Intelligence implementations have their own challenges that, if understood, are easy to plan for and overcome. Including performance information, social and relationship interaction networks, training records, 360 multi-source data, emails/texts, demographics, personality and cognitive tests, project contributions, etc. to make and improve decisions, and design more effective learning experiences. Get a brief overview with examples of some methods and tools that are being used today such as Predictive Analytics, Regression Analysis, R, Machine Learning, Random Forests, Python, etc. Lastly, leave with suggested next steps to learn more about this rapidly emerging, high-impact approach to HR and Talent Management. The holy grail for learning systems is the ability to send the right content, at the right time, to learners. This session will explore how that is being done with increasing impact in different systems, including challenges around data collection, privacy, and quality of recommendations. Much like voice and imagery, the technology behind recommendation systems has made great advances in recent years, making this an area to watch. re-skilling, businesses must first get to grips with reconfiguring work. · Nearly half of business leaders think traditional job descriptions are obsolete. · We will highlight how leading companies are reimagining work and preparing their people. Hugh Seaton is CEO of Aquinas Learning, a software company that utilizes artificial intelligence to deliver learning on the job via Slack, mobile voice and chat, or simple messages. Hugh is founder of the nationwide Practical AI community, with monthly events in NYC, SF, Toronto, and Boston. An avid technologist, Hugh has also created events around IoT and VR/AR, including the NYVR Expo at Javits Center in NYC. Susan Steele advises C-Suite leaders on how to address today’s most pressing talent issues. Known for integrating cognitive technology into the HR domain, Susan has played a key role in reinventing the recruitment, learning and HR functions of many global enterprises. Her background includes Chief HR Officer, Chief Learning Officer and Chief Talent Acquisition Officer roles at WPP, Deloitte and global law firm, Linklaters. Susan’s early career was in P&L leadership roles at investment banks JPMorgan Chase and HSBC and with the NASDAQ/PHLX derivatives exchange. Susan, who lives in New York, serves on the boards of New York HR People & Strategy, Carnegie-Mellon University’s Dietrich College and Fifth Avenue Presbyterian Church. Al Vazquez is the Director of Software Development at Success Academy Charter Schools. He is a big-picture technologist: servant-leader executive, solutions architect, product owner, engineer, sys admin, DBA, process analyst, team builder, trainer, and mentor. He has worn numerous hats including CTO, advisor, senior software architect, business process analyst, lead engineer, account manager, deal maker, partner, and co-founder. Previously, he was Vice President, Engineering at Benchmark Education Company. He holds a BS in Computer Science from SUNY Genesco. Bryan Mattimore is Chief Idea Guy of Growth Engine Innovation Agency, an innovation agency he cofounded in 1999. Growth Engine, has managed over two hundred successful innovation projects, generating over $3 billion in new sales for a wide variety of Fortune 500 clients including Kraft, Unilever, Ford, AT&T, BNY Mellon, LVMH, Merck, and Pepsi. Growth Engine also conducts creative problem-solving training, war gaming, and strategic leadership innovation workshops. Bryan is the author of three books on applied creativity and business innovation, as well as the inventor of the creativity training game, Bright Ideas. Bryan’ newest book, 21 Days to a Big Idea, will be published this November by Diversion Books. Training Portfolio Leader at the American Management Association (AMA). Head of Organizational & Leadership Development for Bayer Healthcare/ Pharmaceutical, NA. GE Capital Corp. (the financial services business within General Electric) for six years, Mo was the Leader, Best Practices & Program Development, designing and consulting on a wide variety of Organizational and Leadership Development interventions. R.H. Macy & Co., as its Vice President, Leadership, Organizational Development & Executive Compensation. Development Dimensions Int’l., Consultant for Service Excellence; and KRC Research and Consulting, VP Organizational Research & OD Consulting. JC Penney Co in various Human Resource leadership roles over 10 years. Mo continues consulting to private and public sector organizations, sometimes collaborating with Pivotal Resources, Inc., a global change leadership firm. Mo is a full-time faculty member at the University of New Haven, with a joint appointment in the Psychology Department and Management Department, and teach courses to MBAs, and graduate students in I/O psychology: strategic management, human resource management, HR development, psychological testing in industry, performance management, and talent management among others. Mo earned a Ph.D. in Industrial/Organizational Psychology from New York University. Armando Rodriguez is an authority on forensic economics, competition policy and regulation, and an expert on discerning key information from published economic performance rankings by using machine learning algorithms. Dr. Rodriguez is the founder of the University’s Economics Collective, an online, student-run blogging and teaching space and social network that aims to be a catalyst for creative solutions to today's economic challenges, and the New Haven Economic Performance Laboratory, which publishes the New Haven Economic Performance Index. He created the University of New Haven’s bachelor’s degree program in business analytics and the behavioral economics concentration as part of the University’s B.A. in economics. Cortney Harding is the Founder and CEO of the Friends with Holograms, a full-service virtual and augmented reality agency. She has created groundbreaking voice-activated VR experiences for Accenture and is currently advising Coca-Cola on its augmented reality strategy. Other agency clients include Verizon, Unity, and the Air Force. Prior to founding Friends with Holograms, she led business development at VR production company Moth+Flame, working with clients like AT&T, Ram Trucks, and Discovery Communications. 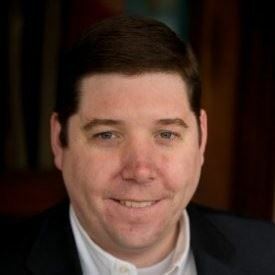 Joe O’Boyle is a Principal Director in Accenture’s Talent & Organization practice focused on helping clients navigate large-scale enterprise change and transformation. He helps to lead Accenture’s Workforce Transformation offering in North America helping clients navigate the impacts of AI and digitalization on their workforce. He conducts research on emerging workforce treads. Over Joe’s 17+ year career, he has focused on strategic, cross-functional transformation programs, specifically at the intersection of Sales Operations, Finance, Customer and Professional Services, Shared Services and Information Technology. His global client experience includes, but is not limited to, regulated and non-regulated businesses in the High Tech, Humanitarian, Energy and Defense industries. Joe studied Management Information Systems at Worcester Polytechnic Institute. He is based out of Accenture’s Boston Office and is an avid student of technology. Continental Breakfast: Assorted muffins and bagels, coffee and tea. Lunch: Deli Buffet - A variety of salads, cold cuts, cheeses, fruit salad, bread etc. with no prior online registration and payment. No refunds can be granted within 48 hours of event. John Weidner, ATD SCC President at: jweidner@cornellglobal.com or 203-762-0730.